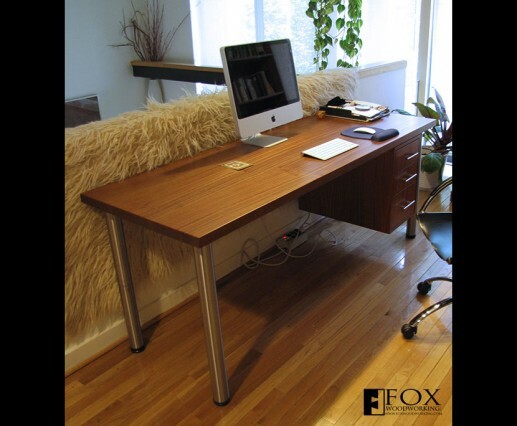 This sapele desk is built in a modern style. 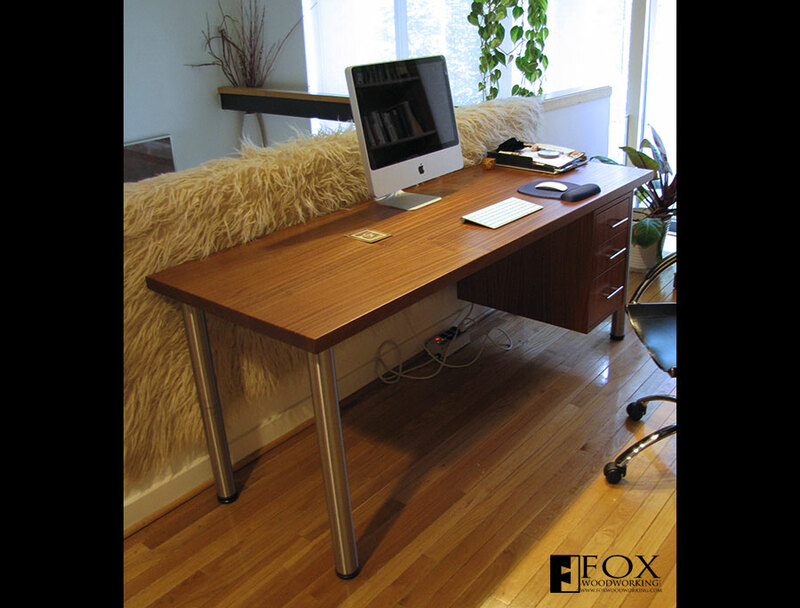 The top is made of solid sapele with color matched boards to create a beautiful work surface. The drawer unit actually hangs from the desk top using lag bolts and stainless steel posts. The solid wood drawers run on Blum undermount drawer slides with a soft-close feature. The cabinet box and drawer fronts are made from sapele veneer plywood which allowed for the grain matching of the drawer fronts. Finally, the stainless steel legs complete the modern look.